A PIONEER batch of students who had opted for the specialist diploma in Building Information Modelling (BIM) were among 680 who graduated from the Building Construction Authority (BCA) Academy on Wednesday. 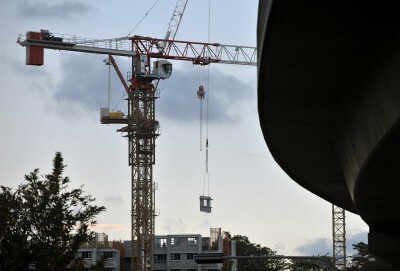 BIM uses 3-D imaging technology to reduce errors in construction work and has been widely touted by the authorities as one way to cut down on the reliance on foreign labour. The national target is to have 80 per cent of the construction industry using BIM by 2015. The latest cohort of graduates, which includes the 50 BIM graduates, is the largest yet. Senior Minister of State for National Development, Mr Lee Yi Shyan, who was the guest of honour at the ceremony, said in a speech that the high number of graduates reflected the long-term prospects for the industry. "The demand for trained professionals will create many good jobs for young Singaporeans," he added. In the past five years, the construction industry has seen an average growth of 12 per cent. According to a recent BCA survey, 77 per cent of its diploma graduates found jobs within six months while another 13 per cent chose to further their studies. Average starting salaries for diploma holders range from $1,800 to $2,200.